Faucets in some places are actually known as a tap. 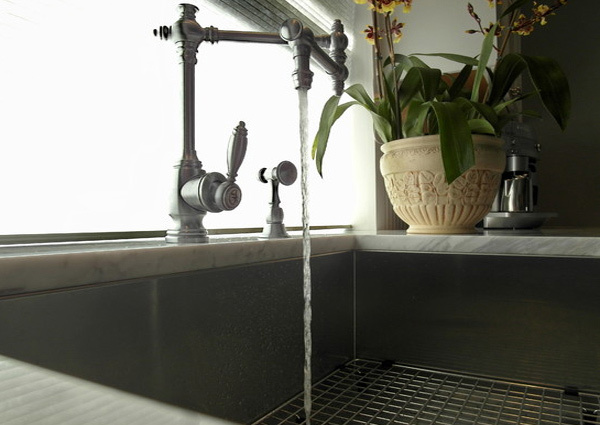 Water for baths, sinks, basins or lavatories can be provided with separate hot and cold taps or faucets. This is for users to decipher which ones to use depending on the need. For public places though, like fast food chains – hot and cold taps are not provided, since usually, it is mainly used for washing of hands. It is much evident that in designing, we usually focus on the big things that are most noticeable such as wall paints, curtains, or furniture; but we should actually admire people who take pride in recreating their home in the details they use for their homes. This faucet sure looks extra pretty. 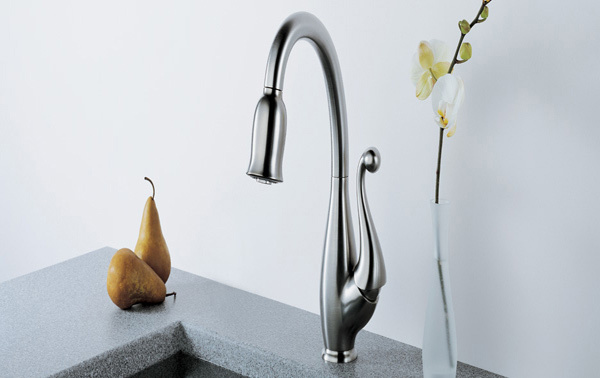 The innovative split finish and faucet design gives this baby an edge among the rest. 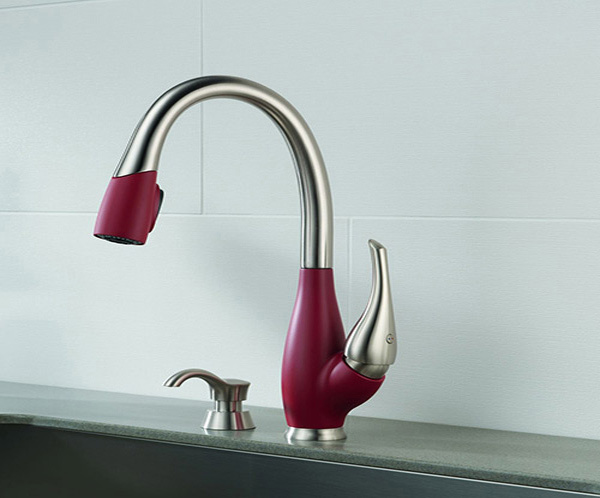 Backsplash faucets introduce the new interchangeable handle concept. Every one of the backsplash faucet handles can be interchanged with any other handle. 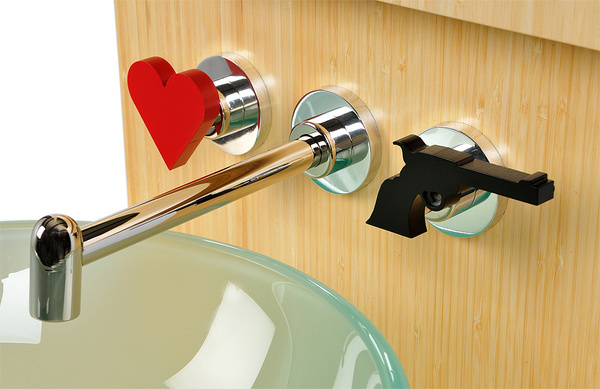 This means that you can change your faucet handle to suit your mood or occasion. Sink group consisting of swivel spout and electronic remote control. 3/8″ female connection hoses. Looking at this unique piece of fixture, we can identify it looking as a bird. The left and right wings serve as the hot and cold tap. According to Judd Lord, Floriano is unique – that it incorporates two distinct interpretations of a flower. The sprout was inspired by a drooping tulip. 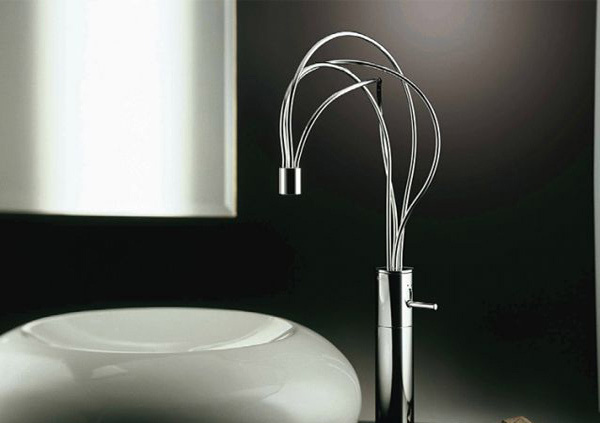 The handle tells a brighter story; it’s reminiscent of a flower coming alive, unfurling in the early morning light. 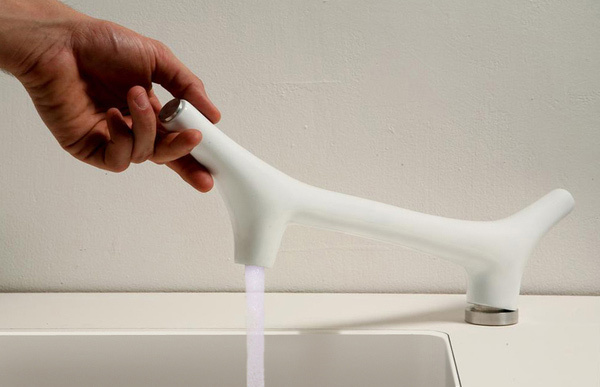 The designer got the inspiration for this faucet towards the movement a swan does when it is preparing to fly. Taking its design inspiration from a swan, Vuelo forms a graceful, majestic silhouette – one that is only enhanced with our new Cocoa Bronze/Stainless Steel split finish. 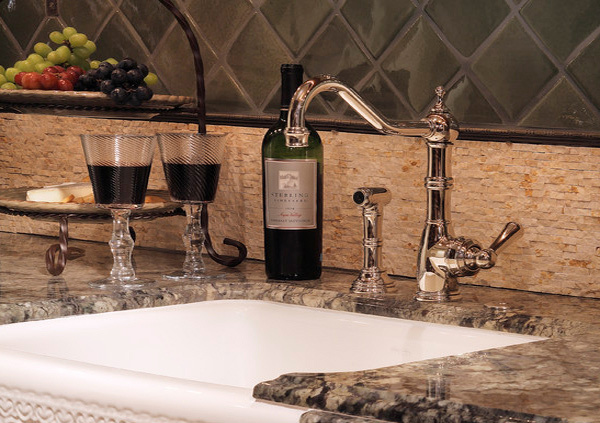 This Redbud design incorporates a vintage-styled faucet which matches the colors of the back splash and the countertop. 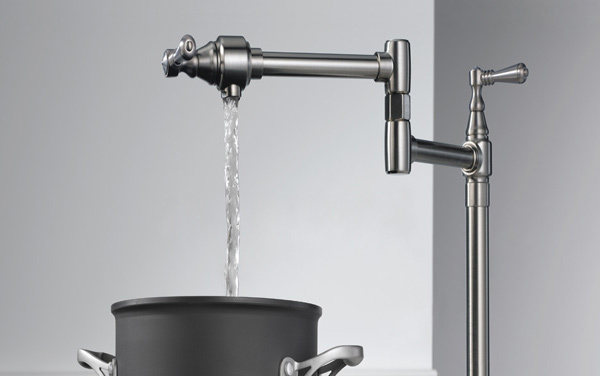 Brizo pot filler faucets make it easy to fill large cooking vessels quickly and without the tedious walk from sink to stove. A choice of wall or deck mounting ensures a solution for every space, while the classic or contemporary handle styling complements any kitchen décor. This is an academic project dealing with the faucet environment. In this project we can find new designs with the kitchen faucet based on newly developed mechanisms created by the designers themselves. We like how this tap looks like because like the pot fillers, this design allows the user to move, twist or rotate the faucet depending on the need. Although of course, there are other designs in the market that are far more flexible than this one. 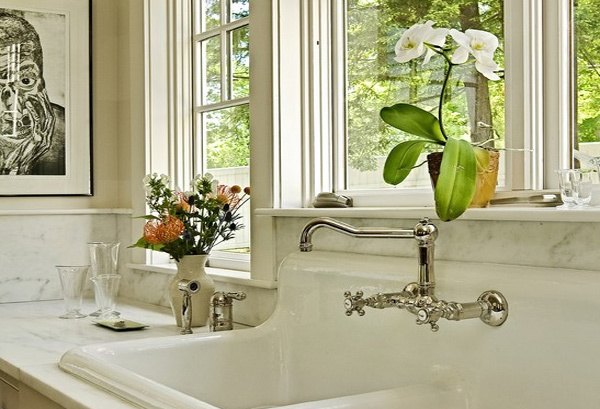 Here is another example of a faucet than can pass either a classic styled tap or even vintage! The dual tap on the sides of course serve the purpose of providing hot and cold water to the users. Look at how gorgeous this faucet is. Its elongated neck reminds us of a giraffe. This is one sample of tap that has only an option for cold water. Look at this movable faucet. There was one example here in this list that resembles this, although a bit shorter. 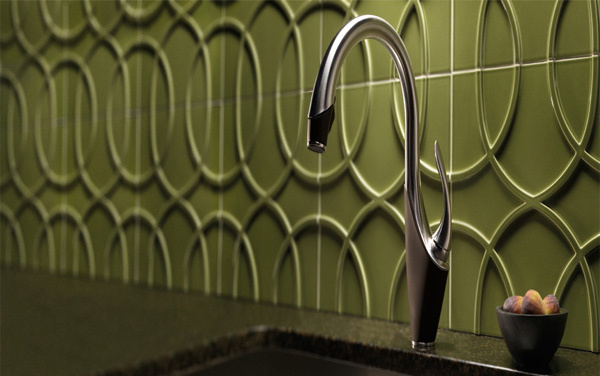 This tap is designed to look like a classic, but the functions are pretty modern. A classic beauty that can pretty much awe us with its old look and feel, but modern use. The sink sure looks like its no longer available in the market, but this is one piece anyone would love. How was that 15 Beautiful and Unique Kitchen Faucets? 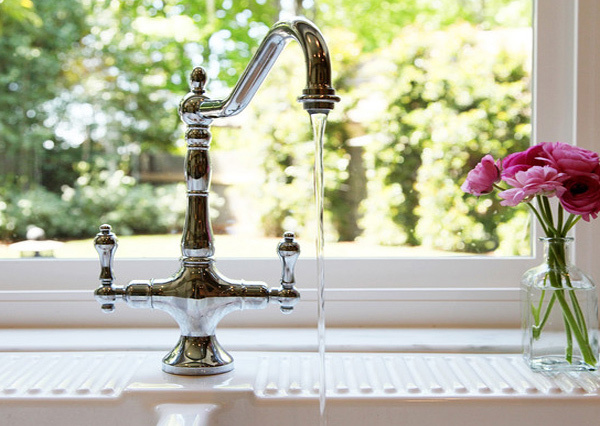 We sure liked the thought of having a list of unique faucets that comes in ranges of modern designs, classics, and even vintage. 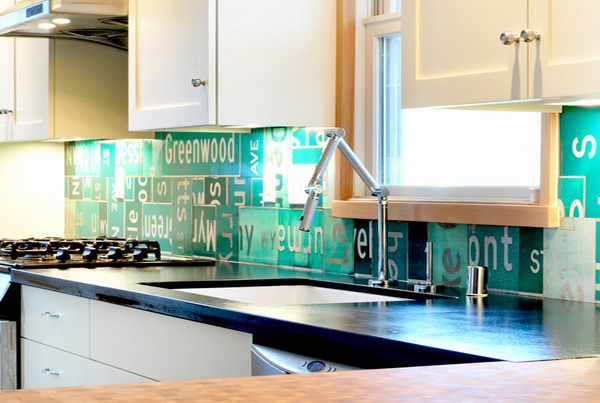 Like what we mentioned above, we really appreciate people who like details, so, comment down about the trimmings you enjoy so that we can feature them here in Home Design Lover. 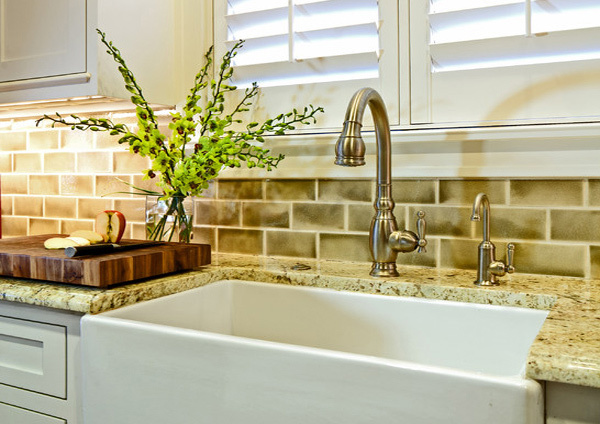 Aside from faucets, you can also take a look at our tips on how to choose a kitchen sink and tell us what you think!